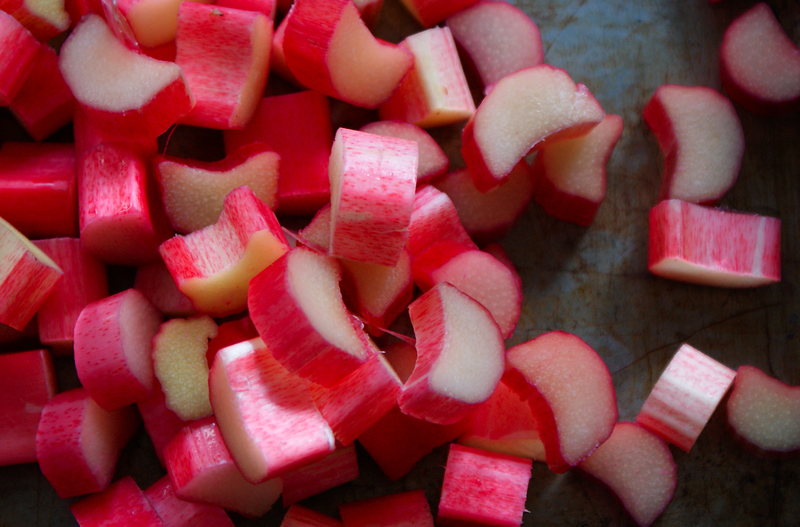 Winter Goddess Foods: RHUBARB....tis the season! Our musings on better eating, better living, and embracing your own Path. To begin with, did you know that rhubarb is a vegetable? Did you also know that it dates back to ancient China where it is was and is still used for its medicinal purposes? It's true! Rhubarb has a very long history as being used for healing usage. In fact, Rhubarb is one of the most widely used herbs in all of Chinese medicine. Most notably, rhubarb's most powerful effect is on the digestive system. This wonder root is used in all kinds of helpful remedies, including as a diuretic, a laxative, and an astringent. But it does a whole lot more. Here's more information on Rhubarb's beneficial propoerties. As mentioned already, rhubarb is a vegetable, but oddly enough it is more commonly used in desserts. That's what were talking about today. I love rhubarb and I wait patiently each spring for the first of the cherry rhubarb to show up at the farmers' market. 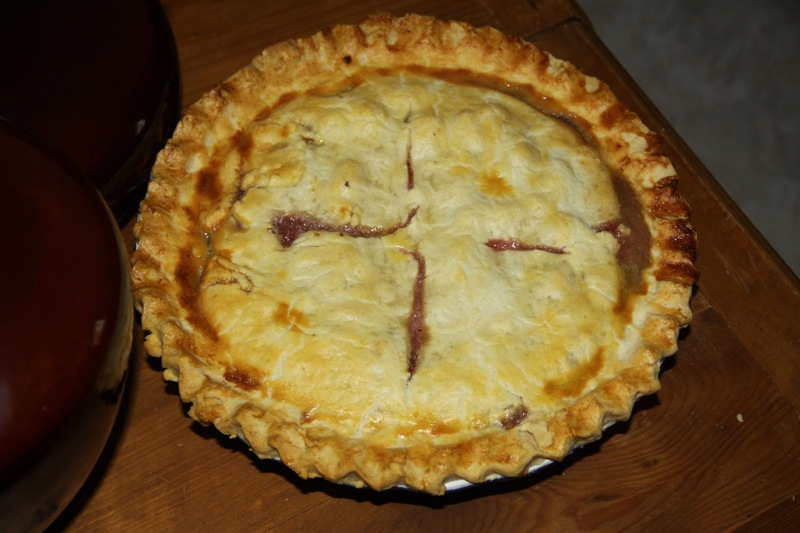 I just bought some last Saturday and made Rhubarb Strawberry Custard Pie. This is a family favorite. Keep reading for the recipe below. · Rhubarb is a perennial, so plant it once and each year it will grow. · Do not harvest your rhubarb the first year of growth. The plant needs to develop a strong root system and is best when harvested beginning the second year of growth. (If you can't wait, go to your local farmers' market come June and you will find it there.) The stalks can be pulled (it is best not to cut the stalks) when they are 10-15 inches in length. 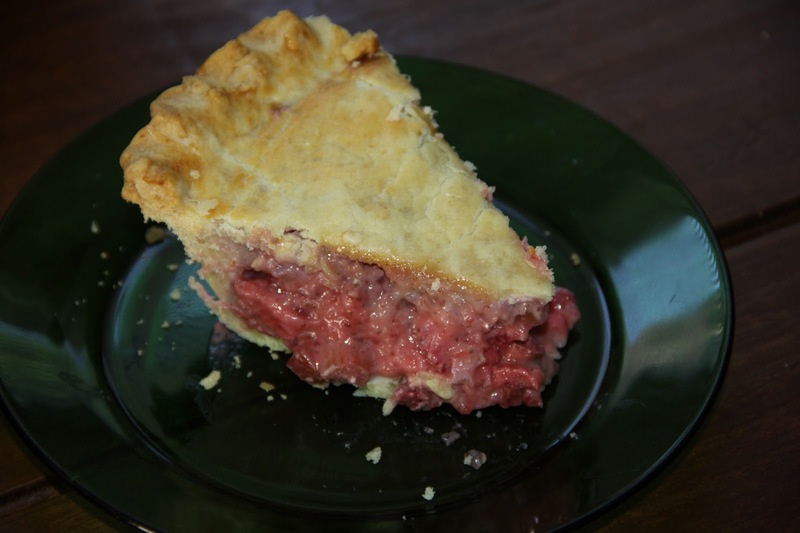 · Rhubarb likes a cool climate and grows well in the northern states of the US. It struggles with the heat and doesn't like to grow in the hot climate of the southern states. · Never eat the leaves of the rhubarb plant. They have high amounts of oxalates and when consumed in large quantities, poisoning can happen. The stalks of the plant have very low levels of oxalates and so are not poisonous. Mix rhubarb, strawberries and sugar is large bowl. Add egg and combine. Now add the tapioca and flour and combine. Pour mixture into a uncooked pie shell. Dot top of mixture with the butter. Cover pie with second pie crust. Crimp the edges of the crust. Using pastry brush, paint a layer of egg was over the top of crust. Cut openings in crust to allow stem to escape during baking. Bake at 375 for 50 minutes. Servie it warm and cold. Enjoy! Purveyors of organic, fair-trade comfort drinks, comfort snacks, and comfort treats, made with "Intent", and without artificial ingredients, chemicals or preservatives. More events will be added in the future! Shungite + Water = Healing? Believe it! Clove, it's not just for pumpkin pie!